Cornetto and baroque trombone ensemble. Co-founded and directed by Bruce Dickey and Charles Toet, it takes its name from a historical ensemble of cornettists and trombonists which existed in the city of Bologna for over 200 years under the name 'Il concerto palatino della Signoria di Bologna'. 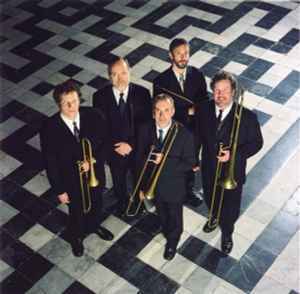 The core group comprises two cornetts and three trombones, but this formation is frequently augmented with extra brass players, strings or singers, and also often collaborates with other ensembles, in particular Cantus Cölln, Collegium Vocale Ghent, Tragicomedia, The Amsterdam Baroque Orchestra, and the Bach Collegium Japan.